BlackBerry Maps' data coverage has been extended by adding 34 new countries, including Australia, Brazil, Argentina, Uruguay, New Zealand, The Philippines and Taiwan. RIM has also optimized the visual appearance of the maps with a stronger rendering engine as well as with a new color scheme. New POI databases for hospitals, universities/colleges, police stations, train/subway stations, shopping centers, parking, parks and airports were also added wherever available, in order to make the maps as meaningful as possible to the end user. The screenshots highlight a few of the many visual changes that went in as part of this update. 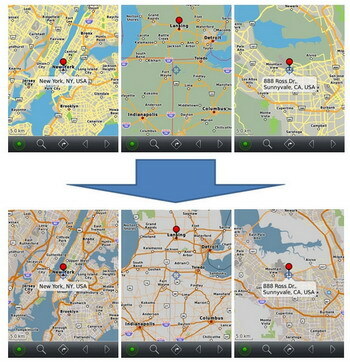 0 comments on "BlackBerry Maps adds 34 New Countries, new POIs"